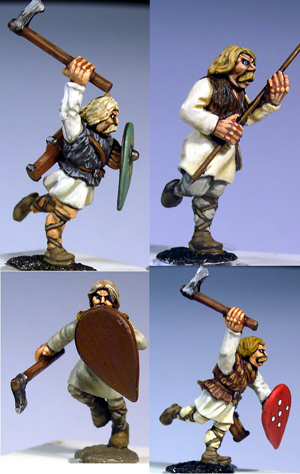 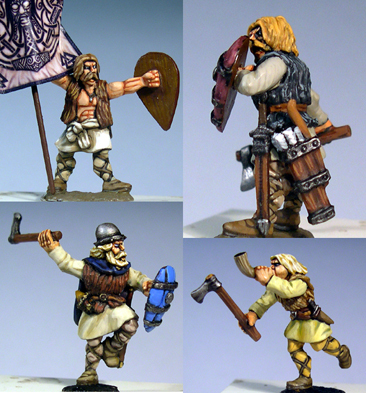 Sculpted by Rob Baker, these figures are suitable as Pruss & Estionian tribal types for allies & enemies during the Baltic Crusades. 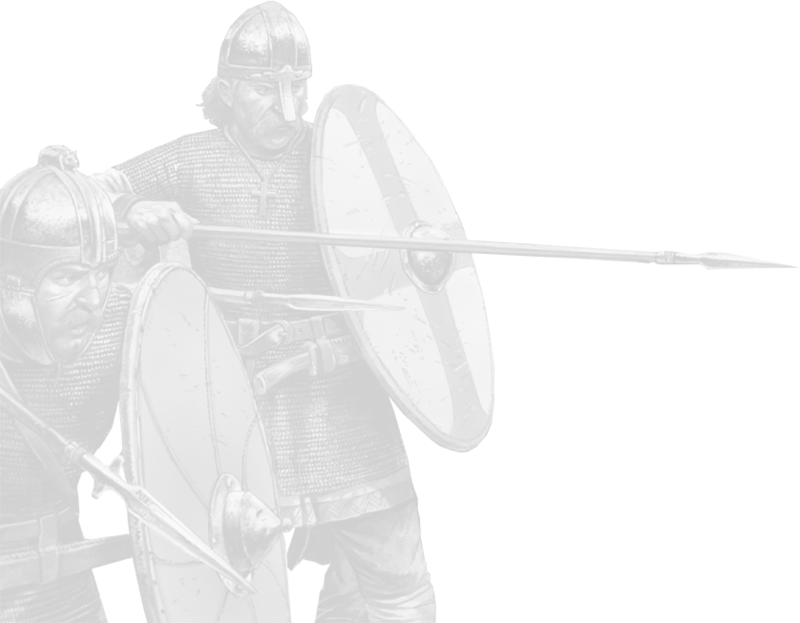 Each pack will come with 2 wooden teardrop shields & 2 smooth teardrop shields, axes where appropriate & 2 bow clips. 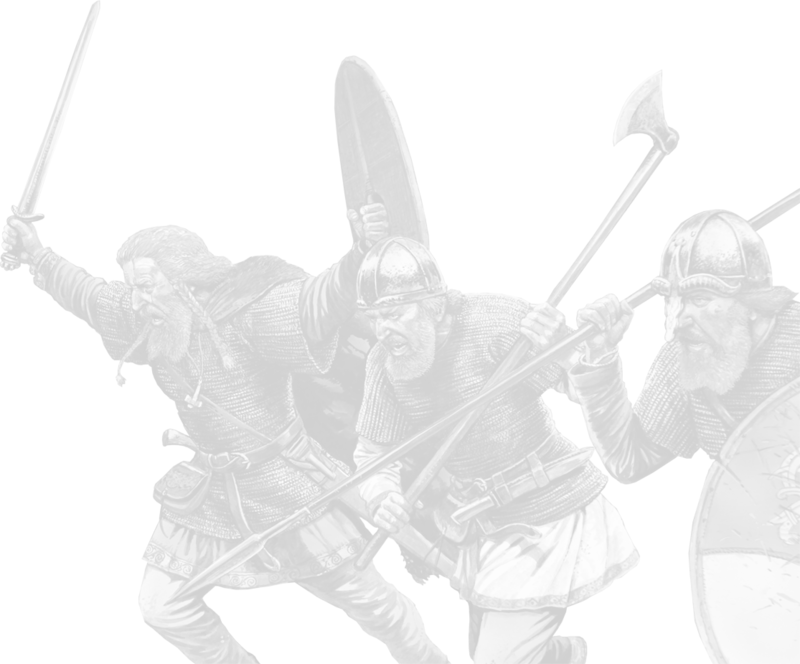 Also suitable to add variety to Germanic, Rus, Viking, Early Saxon & Frankish armies. 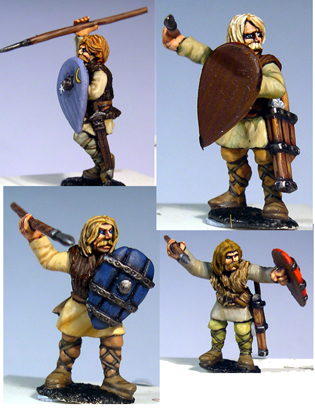 Figures supplied will be those illustrated BUT the weapons provided may vary from those illustrated.